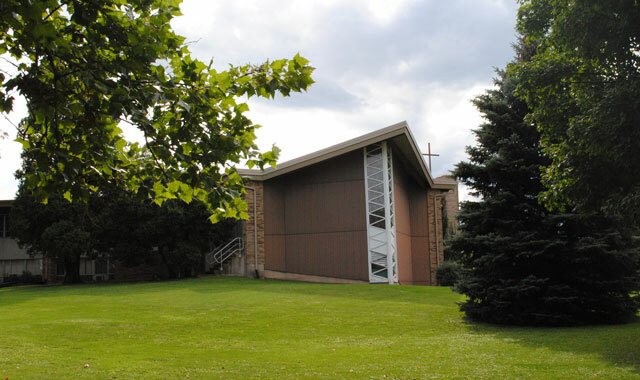 In operation for more than 180 years, Faith United Methodist Church is the longest continually active congregation in Genoa. Its members are investing in the church’s future by getting their children involved in the church and in the community. “Church and youth are a priority, not just because we want the church to be around forever, but because we want to make the world a better place, here and now, and for the future,” says pastor Melissa Meyers. Fourth through eighth-grade students participate in an after-school program that connects youngsters to their community, with experiences like tours of local courthouses and visits with state lawmakers. Students also take educational trips to places like the Midwest Museum of Natural History, in Sycamore. Junior high and high school students participate in a Staycation program during the summer and perform mission work in the community. The congregation’s youngsters participate in Feed My Starving Children, a charity group that enables students to pack meals for malnourished children. They’ve also visited a DeKalb County animal shelter, where they’ve cleaned kennels and walked dogs. The church’s adult members are involved in the community. They participate in food drives through the Genoa-Kingston Food Pantry and organize meals for families who’ve recently lost a loved one. There is no need to dress up at this church. Members and visitors are encouraged to come as they are. The Rev. Melissa Meyers leads worship on Sundays at 9 a.m. Children and youth Sunday School takes place at 10:15 a.m., with adult classes at 8 a.m. This lively, caring congregation is the result of the December 2015 merger of Second Congregational and First Presbyterian churches, both early pillars of the city’s church life, founded in 1849 and 1854 respectively. Recognizing that they shared similar theologies and a commitment to their downtown neighborhood, members decided to join forces and maintain just one large building. 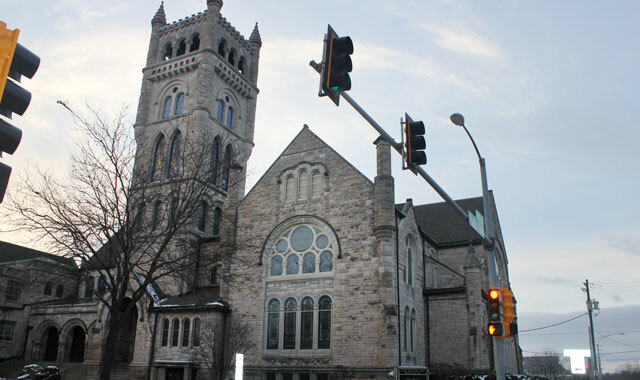 First Presbyterian sold its building to the Mendelssohn Performing Arts Center. Along with Court Street United Methodist and Emmanuel Episcopal, Second First Church is part of Jeremiah Development, a not-for-profit that works toward safe, affordable housing, beautification and economic opportunity for neighboring residents. Second First also provides free medical care to neighborhood residents through its Bridge Clinic each Saturday. In addition, the church Ministry Team is providing winter boots to children at Haskell Academy. The church is one of seven nationally certified Fair Trade Shop Congregations. Buying Fair Trade goods supports both sustainable businesses in developing countries and environmental stewardship. Second First is led by the Rev. Rebecca Newgren. Worship is Sundays at 10 a.m. This entry was posted on Friday, January 13th, 2017 at 4:56 pm	and is filed under Mind & Spirit. You can follow any responses to this entry through the RSS 2.0 feed. Both comments and pings are currently closed.